application: sodium petroleum sulfonate has strong anti humid, salt spray, salt water and water replacement capacity. 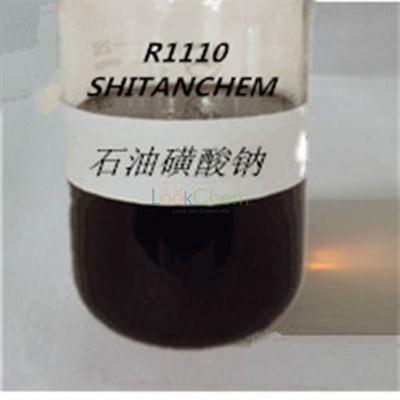 it has excellent antirust properties for black metal and brass, and can be used as a solvent in oil for various polar substances. because of its strong hydrophilicity, good antirust and emulsifying properties, it is used as a textile, printing and dyeing auxiliary and liquid detergent, emulsifier for the polymerization of vinyl chloride. it is also used for cleaning oil and antirust oil, antirust grease, cutting fluid, emulsion and so on. Application: sodium petroleum sulfonate has strong anti humid, salt spray, salt water and water replacement capacity. It has excellent antirust properties for black metal and brass, and can be used as a solvent in oil for various polar substances. Because of its strong hydrophilicity, good antirust and emulsifying properties, it is used as a textile, printing and dyeing auxiliary and liquid detergent, emulsifier for the polymerization of vinyl chloride. It is also used for cleaning oil and antirust oil, antirust grease, cutting fluid, emulsion and so on.